Next up were grilled scallops ($15), topped with ume (pickled plums), shiso and mentaiko (spicy cod roe) butter. I was concerned that the scallops would be overpowered by these potentially strong flavors. 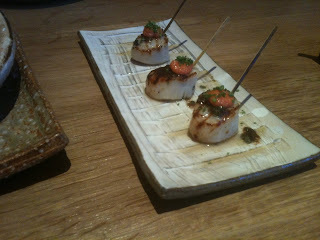 But the execution was well-balanced and effective, though I thought the scallops were a touch overcooked. Tuna and salmon tartares ($16) were served, in a dramatic style similar to that used by Masaharu Morimoto, on a wooden board over ice, with a wooden spoon for scooping onto rice crackers, along with a few lotus root chips and shiso leaves. Both were rich and tasty, and the crackers ethereally crispy, though I prefer a tartare that still has a bit of texture to it over this finely minced, baby-food style of preparation. A spoonful of American (paddlefish?) caviar was a luxurious addition for an extra $12. Mrs. F is more a fan of the "creative" maki rolls than I am these days, though I'm certainly not above stealing a few bites. The spicy yellowtail roll ($13) came paired with avocado, with a dab of wasabi mayo on top and a sliver of serrano chile which provided a nicely bright tweak to the flavors, while an unagi maki ($14) was reminiscent of a futomaki, stuffed with a variety of vegetables. The ingredients and combinations were good though I found the rice a bit cold and sticky. We had several items from the robata grill, including these pork belly skewers ($10), given a light soy glaze and served with a yuzu mustard dipping sauce. 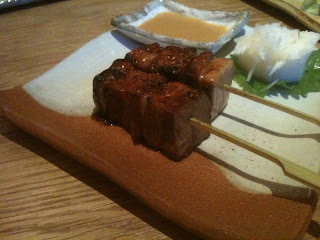 The pork had more substance and bite to it than the typical long-braised pork belly, which is not necessarily a bad thing, and the charcoal grilling gave a nice char to the exterior. Chicken yakitori ($7.50) also had a nice tare glaze, not overly sweet, and the chicken was juicy and flavorful (thigh meat rather than breast?). Some of the best things from the robata grill were the vegetables, of which there are several choices. I loved the Japanese eggplant ($8), brushed with a densely flavored aka dashi miso which the eggplant just soaked up into its flesh, along with just a hint of smokiness from the grill. The sweet potatoes ($8), done in slices sprinkled with sesame seeds and a light glaze of teriyaki sauce, were also very good. Other options include baby zuchinni, shishito peppers, shiitake mushrooms, corn with shiso butter, and baby artichokes, and these are likely worth checking out even though they are pushed into a far corner of the menu. We also tried the tempura rock shrimp with lime and chili mayonnaise ($15), if for no other reason than to compare to the progenitor which we'd recently re-sampled at Nobu. 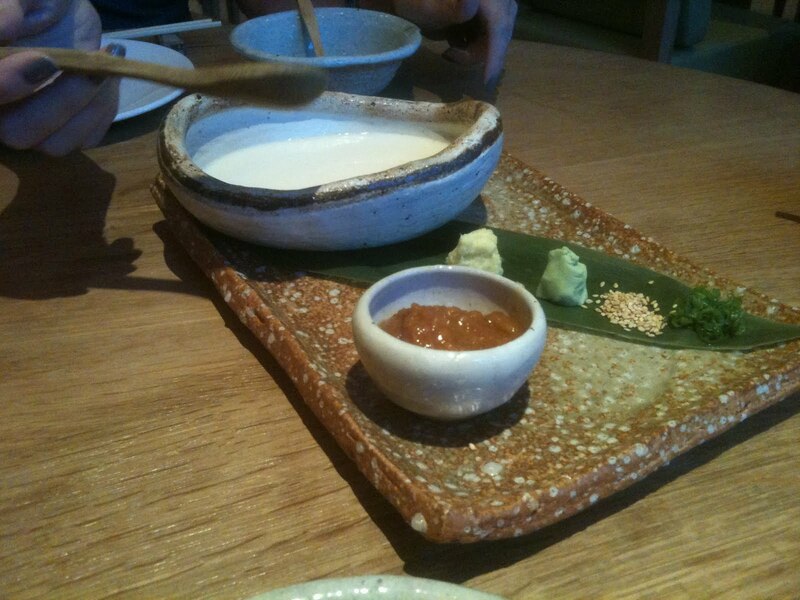 Unlike Nobu's version, in which the shrimp are dressed in the creamy spicy sauce, Zuma's is a D.I.Y. take, with the shrimp served bare and a bowl of the sauce on the side. 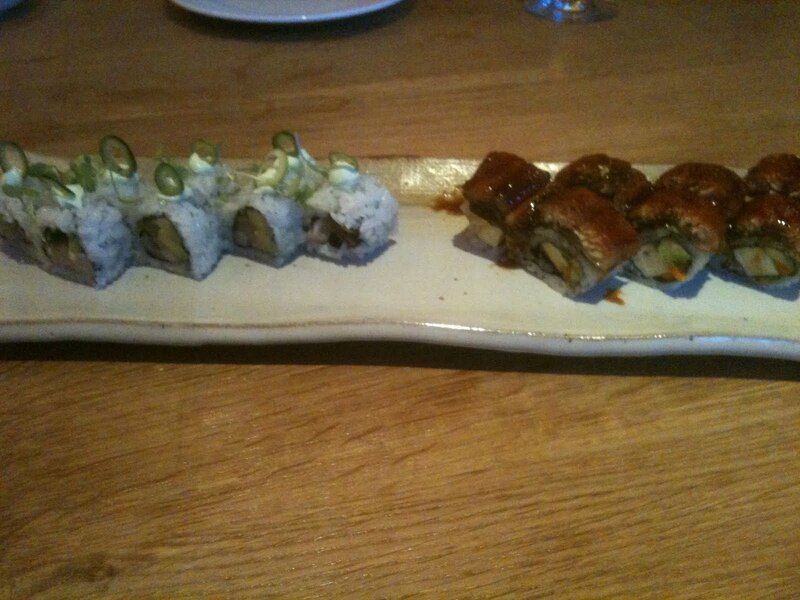 It was good - though not as good as Nobu's. Was Nobu's, at $21, 40% better than Zuma's? I'm afraid I'm not capable of calculating such things. We shared a dessert of a green tea and banana cake with a toffee sauce ($10), a veiled reference to the restaurant's British origins, as this was almost a sticky toffee pudding in Japanese drag. The moist two-tone sponge cake was crowned with slices of banana and crumbles of toffee in a sweet liquid toffee sauce. I would have enjoyed this more if the sauce were a bit thicker, though I had no qualms about the coconut ice cream with which it was paired. The two sections of the menu we missed entirely were the sushi and sashimi, where a fairly typical selection of about 15 items is mostly priced at $7-10 for 2-piece orders, and the more substantial entrée options, which include about a half-dozen "signature dishes" as well as robata seafood, meat and poultry dishes for about $20-35. I didn't delve in any detail into the wine list, but there was a very impressive selection of sakes by the glass and by the bottle, though the beer selection was limited to two when we were there (I'm sure that's just a function of it being their first week). Service was almost overwhelmingly attentive. Indeed, it would seem that about half of Miami-Dade County is currently employed at Zuma. We were greeted by literally more than a dozen people as we were shown to our table, and bid farewell by an equal number on our way out. I counted thirteen cooks working the sushi station and the robata station, without even counting those working the principal kitchen behind closed doors. The waitstaff were enthusiastic and generally knowledgeable about the menu, and the kitchen did a near-perfect job of pacing our food so that there was something new hitting the table as the last dish was finished, without too many plates piling up. To size up Zuma, there are several comparisons that can be made to other local establishments. Zuma is very similar to the aforementioned Sugarcane, though the atmosphere is a bit more corporate, and the menu a bit less adventurous and diverse (particularly in the cooked dishes, where Sugarcane really excels). Zuma is certainly more posh than Hiro's Yakko-San, which is more of a true izakaya: you can take a client or a first date there, but you won't find the 100+ choices you'll have at Yakko-San or the page of daily specials. It is perhaps most similar to Nobu, though the range of sushi is not quite as broad and the prices not nearly as steep; Zuma is not cheap, but it's not the break-the-bank experience that Nobu usually becomes. But there's certainly nothing else to compare it to in Miami's downtown area, where Zuma is a very welcome addition. Zuma may not be doing anything incredibly new, but generally speaking, it executes what it sets out to do extremely well. Thanks, Frod. This was the thorough recap I was looking for. I need to get in there to try. 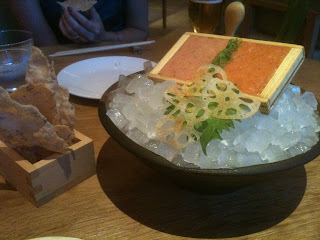 It also reminded me that I have a long overdue post about the $55 tasting menu @ Area 31 that I need to get crackin on. An incredible value for the money, especially w/ the wine pairing. Great to read your thoughts on the place. I agree that it's not super-exciting but well-executed. But I can't see myself choosing to go there over Sugarcane. 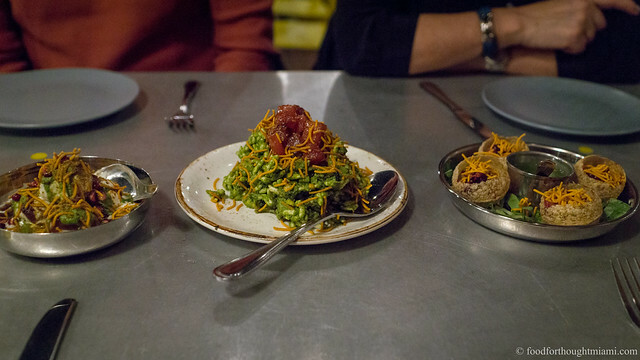 The veggie dishes are virtually identical and the cooked items are a bit more compelling at SC. It sounds like a very tasty place! I am a SC fan and always looking for new places with Asian Fusion cuisine.